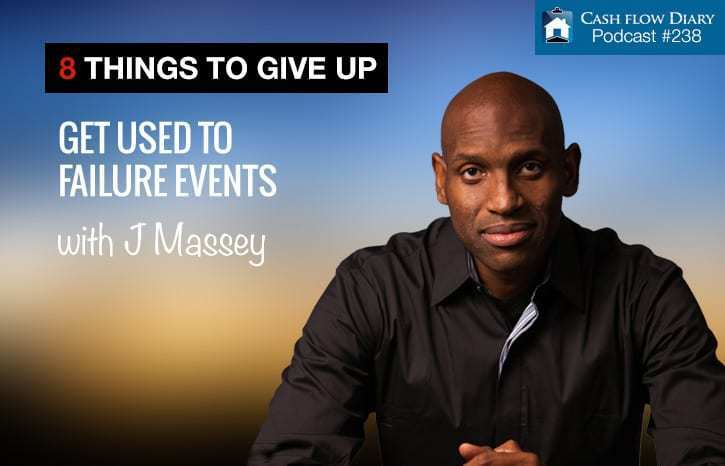 Last week I started talking about some of the 7 deadly mistakes I’ve made in real estate. After publishing that piece I got a lot of questions, so I figured maybe I’d go further this week in this article. Why not, right? I told you about the mistakes. So this week I’ll tell you what to do when you make them!! The long and short of my journey is that I’ve done a lot of different deals, and I have a ton of transactional experience to share. The only reason I can share my knowledge now is by making mistakes… because that’s how we all learn! Remember this: Real estate investing is a skill, and like all skills you have to build them. So what is the number-one ability you need to learn? There are necessary skills to be a real estate investor, entrepreneur and business owner. Know what it is? It’s the ability to fail fast, fail forward and fail frequently! Isn’t that what’s held you back from trying your hand at real estate investing? If you’re honest with yourself you are nodding your head. But hear this… you can master the art of failing and you will be better off for it. If you’ve been following me for any length of time, you know that this is not the first time I’ve talked about this topic, not by a long shot. In fact, I’ve been teaching listeners and viewers why being okay with failure events is critical to your success as a real estate investor. Your response to mistakes will make or break your business and credibility. So what will you do when you or your team make mistakes?What to do when vendors, contractors and investors say they “hate” you as a result of mistakes? When errors occur and there are unintended consequences (the true definition of a mistake) there are 5 things you have to do to maintain your credibility and keep going. Because I took responsibility for everything that went wrong with one of my first deals… the one with the runaway contractor at the helm… that meant I also had to pick up the phone and actually talk to the five investors who had put money into that rather big deal. Some were forgiving; others not so much. But what I learned from this memorable little life experience and rather large failure event is to ALWAYS pick up the phone – even when you’re so scared to do it that you’d rather run and hide – and talk to people.Work things out if you can. Since there is no super-safe test for determining how an investor will react to a failure event, you’re just going to have to learn how to respond to their negative emotions when you encounter them. These individuals have a right to vent and I promise it won’t be fun. You’re going to have to sit through it and get through it. If you’re a good listener, you can typically work through the negative situation to get to the more positive outcome. 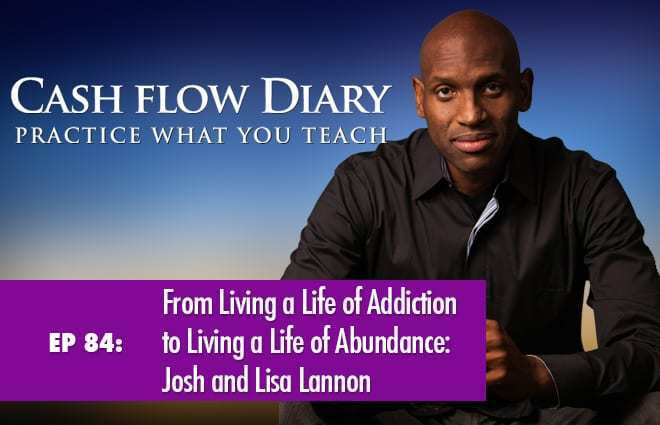 Something about the way some people respond to negative events… I’m talking about their emotional responses to your big mistakes… is the same way that a drug addict might react when his/her drug of choice is suddenly taken away. Not good. So be prepared. 3) Protect and maintain your confidence. You are not a failure; you only experienced a failure event. So what? Now What?! You experienced an event you did not plan on! That’s it. How you react to the situation can make, break or save the outcome. Go back to the video I share with you at the top of this article. I talk about an absolutely horrible situation that occurred in one of my apartment buildings that made the news. It was bad… really bad. It involved the death of a child on one of my properties in Memphis. The event put me under the microscope, because that’s what happens in these situations. While I was far, far away from the property and certainly had nothing to do with the child’s demise, the investigators still had to talk to me. 4) See the deal through to the end.Bad tenant? Bad contract? Bad investor? Deal not turning out the way you planned? Okay. That will happen. If you rent your properties to tenants, not all of them will pay rent on time or maybe even at all. Your property manager will do his/her best to communicate with the tenant in question and collect the rent, but sometimes that isn’t going to do the trick. Sometimes you’re going to have to take a course of legal action. Don’t let it get to you; see it through to the end. If you rent your properties to tenants, evictions will be part of what you have to do from time to time. Now let’s say that you and an investor or another party have come to an agreement regarding his/her participation in one of your properties. You have the contract drawn up (not by you, but rather by a legal professional who does this for a living). The contract is based on the verbal agreements you have made with the other party. You should get on the phone with the professional who will draft the contract so that person can hear and record your verbal agreement. You will be on the phone with the legal person AND the individual who will be doing the deal with you. All three of you will be on that conversation so nothing can be misinterpreted. That is all well and good, but sometimes down the road the party with whom you made the agreement wants to change things up, forgets the terms as agreed or just gets skittish, maybe asking to back out of the deal. That’s okay. You are in the business of doing deals in real estate; you are prepared. There is a contract in place, so there is proof of what is supposed to happen in the deal from beginning to end. It needs to happen as agreed. You want to resolve things quickly and before they get out of hand. So you start with open communication. When all else fails, you can take a legal course of action. While this doesn’t happen in my dealings often, it has happened. It may happen to you. All I’m saying is to be prepared. It’s all gonna be okay. You just have to follow things through to the end; you don’t get to give up. 5) Keep breathing. Especially when it comes time where you have to sue someone (a.k.a., when you evict a tenant, that’s called a law suit — you are suing the tenant to get him/her to pay or quit) or if you are being sued. Hey, don’t laugh. It can happen if you make mistakes in your paperwork, if a miscommunication occurs or you take a misstep in one of your deals at any point. You are human; you will make mistakes. The good news is that there is a process to working things out legally… and you don’t have to handle those parts yourself or alone. That’s why you want to have a good legal team and CFO in place when you are doing bigger deals. Listen to what I say in the video at the top of this article. When it comes to handling law suits I talk about the process and the importance of dumping your fears. There are ways to stay out of court and avoid the time-consuming hassle altogether. For example, it may be cheaper to pay someone more than you might owe him/her than it would cost you if you were to go through the court process. You’ll learn how to handle these situations as you move forward and deal with more and more people in your transactions. It’s just a learning curve. At the end of the day, real estate investing is a skill of building relationships and learning how to do different strategies… and understanding that you will live even when you make mistakes along the way. You don’t roll up in a ball. You learn how to take responsibility and try to work things out with those who are aiming their sharp tongues at you. You keep going, no matter what!! It is my sincere hope that the information presented in this article inspires you to keep going and keep learning, so you can get off the hamster wheel, walk away from your day job… and you get out of the Rat Race once and for all. On that note, I’ll be hosting a very special Mastermind Training that takes place live at the same time slot every week over a period of several weeks. It’s about to start and I want you to be a part of it. 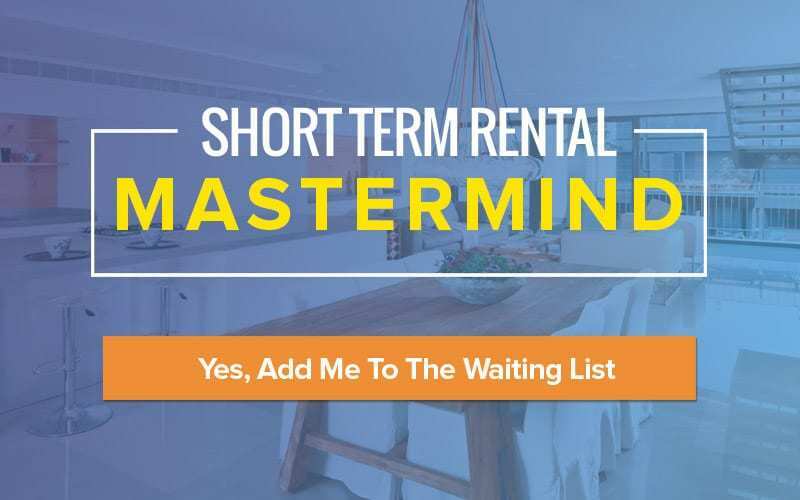 It’s all about how to earn a killer income doing STRs (short-term rental properties).